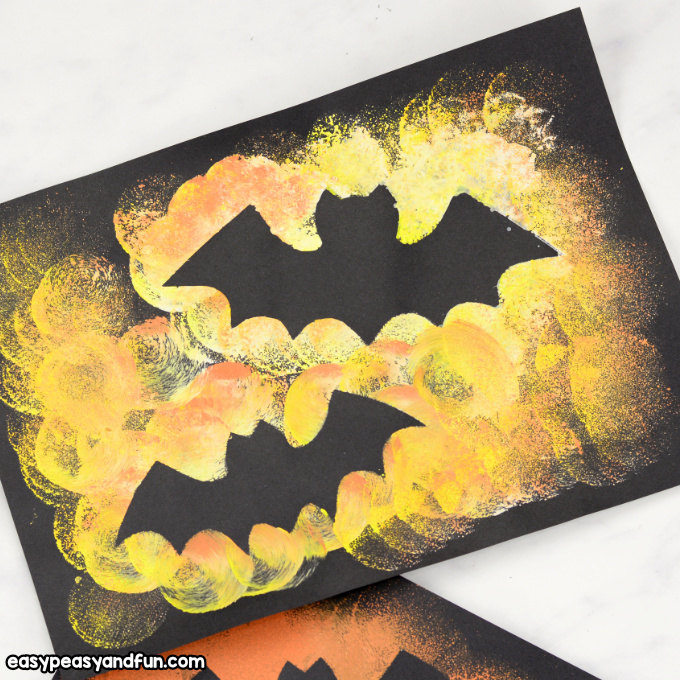 A splash of color and a few dabs on the paper and you have an easy and gorgeous Bat Silhouette Halloween Art. 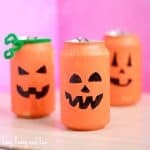 This Halloween art idea is great for kids as young as toddlers (with some help from parents), older kids will love it too. 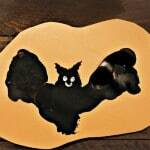 Bats are kings and queens of the night sky (especially in the fall). 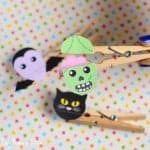 As they are so closely tied to Halloween (eek vampires!!!) 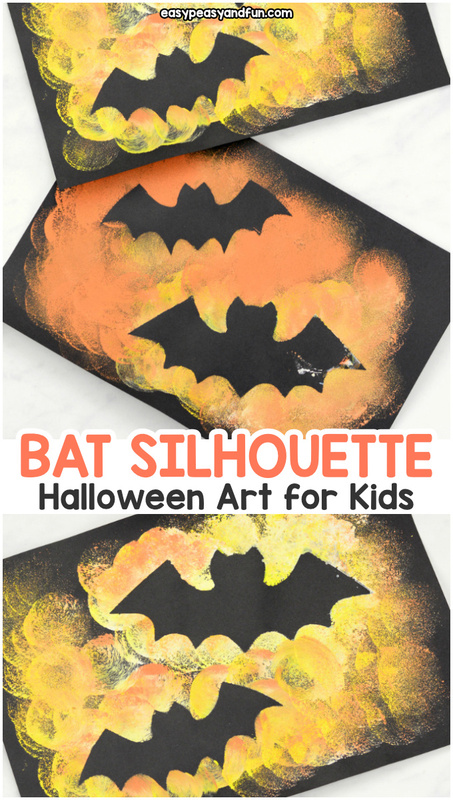 we think this easy bat silhouette art makes a great project to do with kids during Halloween season. 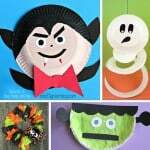 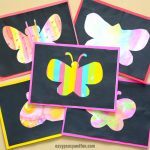 It’s a great classroom project too – you could even make it a group project to make a wonderful Halloween bulletin board out of these (cool right)? 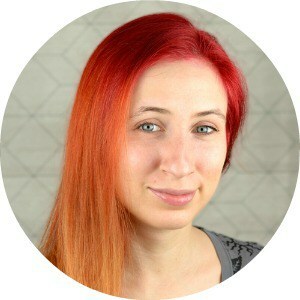 We think orange shades work great for this one, but you can also use make the background in any other color. 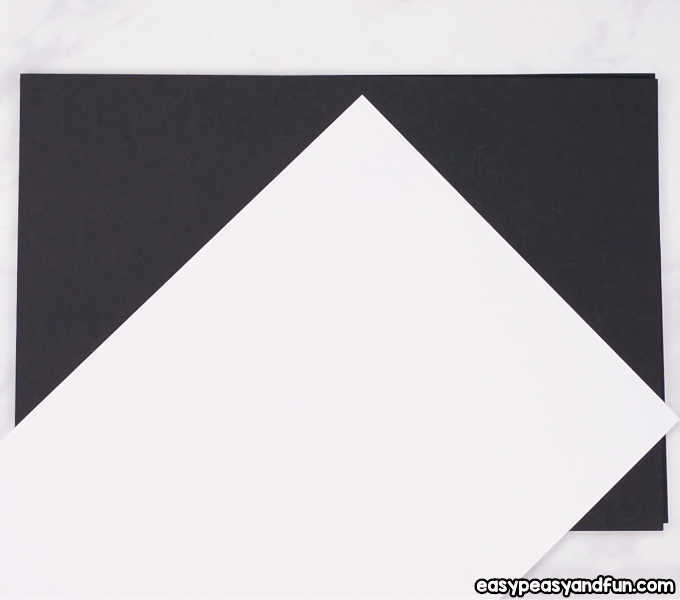 Fold a sheet of white paper in half (or just fold anywhere really). 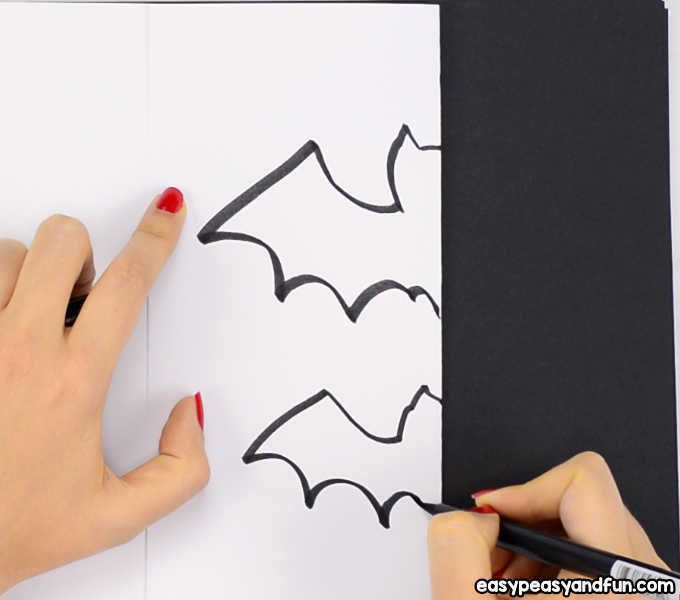 Draw two bat “halfves” – we have a how to draw a bat tutorial that you might find helpful when it comes to drawing the wings. 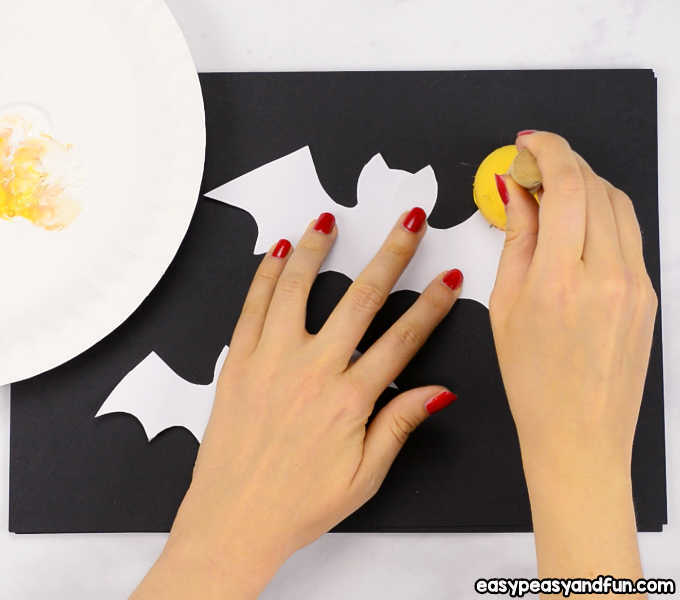 Cut out along the drawn lines to get the bat silhouettes. 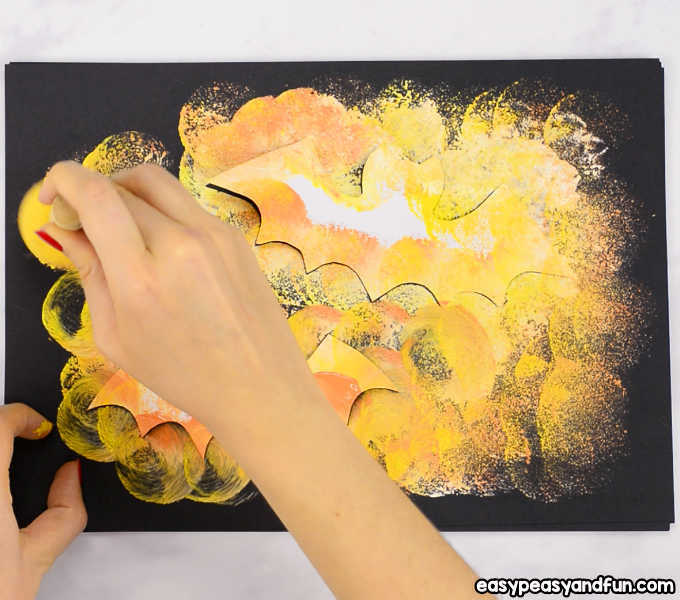 Prepare your paints – we used white, yellow and orange in our project. 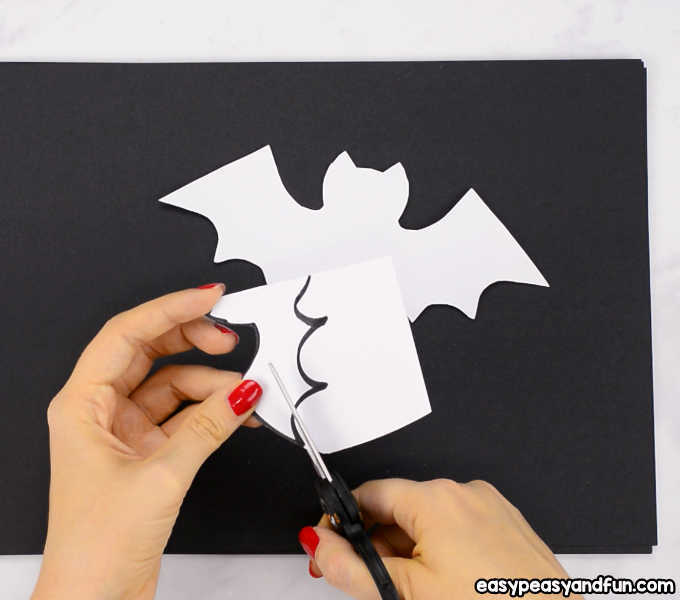 Place the bat silhouette on the black paper. 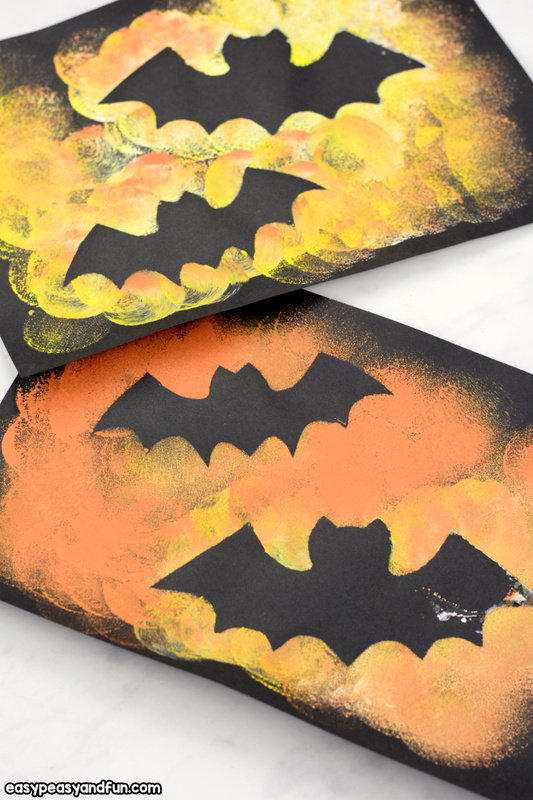 If working with younger kids, secure the bats by making a roll of washi tape and sticking it on the bat – press the bat on the black paper – the washi tape will hold it in place and it will be easy to remove afterwards. 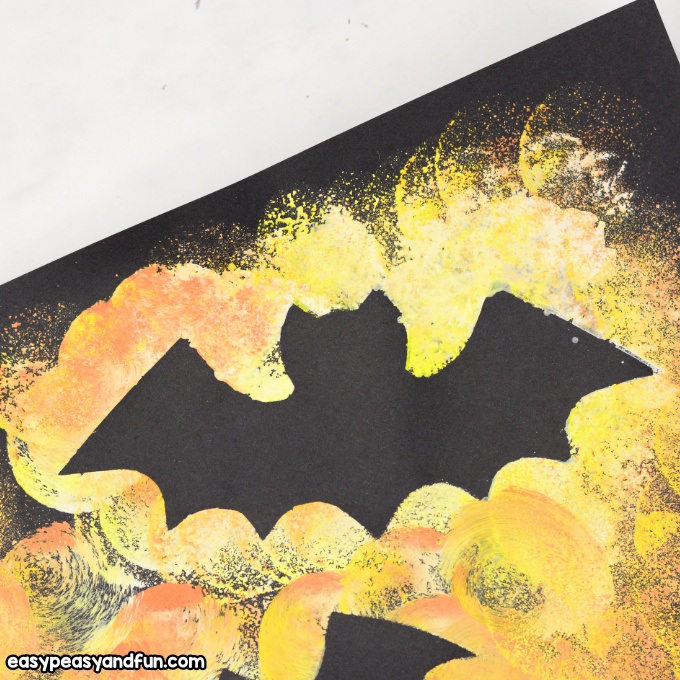 Dab the sponge brush in colors and start dabbing all around the bat cutouts. 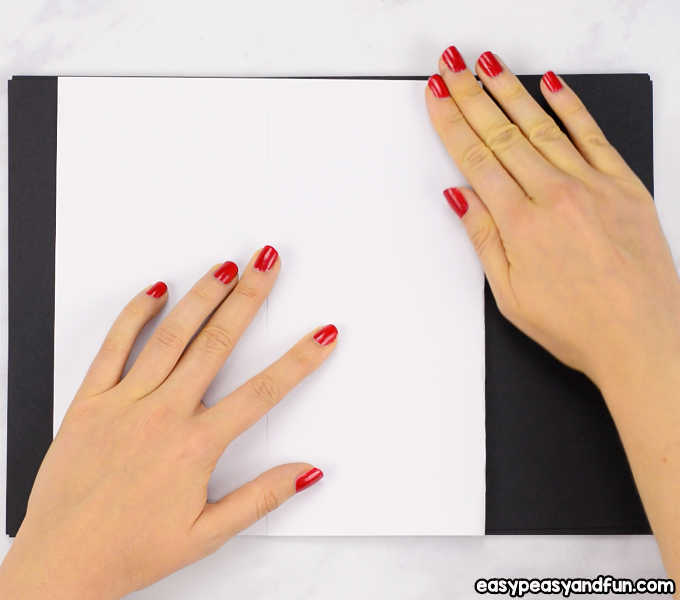 Add more paint, until you are happy with the intensity and spread of the paint. 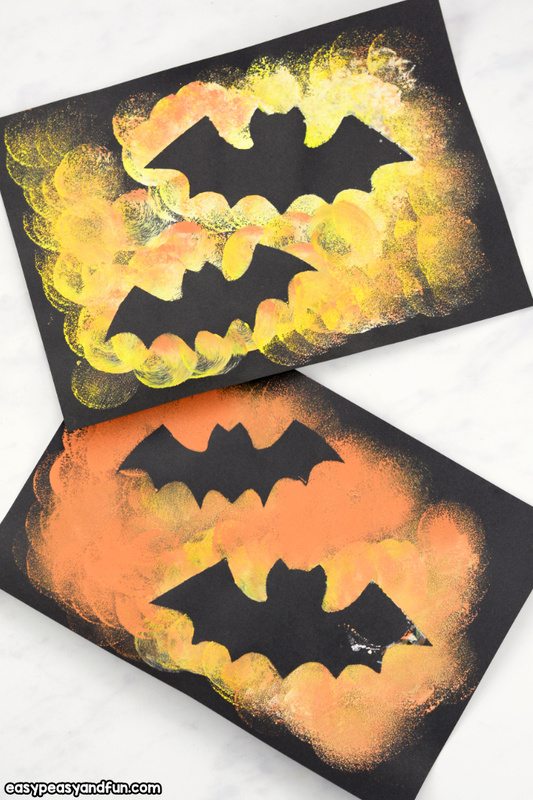 All done, this simple Halloween art project is complete. 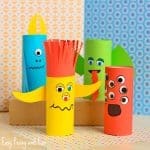 Easy and nice looking aren’t they?